Durabuild 32.5N was designed for those jobs in and around the home. We focused on formulating a quality cement that would produce user-friendly mortars, plasters and concrete, with the emphasis on affordability. Buildcrete 42,5N is classified as a general purpose cement. It conforms to the SANS 50197 (EN 197) specifications in accordance with SANS 50196 (EN 196) test requirements. The user-friendly, all-round performance characteristics of Buildcrete 42,5N offer a range of extra benefits for concrete and mortar work, making it an ideal choice for major project work, as well as DIY enthusiasts and small contractors. Fastcast 52.5N is a Class II cement formulated from Portland cement clinker and siliceous fly ash together with a strength enhancer, to produce a CEM II/A-V 52,5N Portland-fly ash cement, in accordance with SANS 50197-1 (EN 197-1). 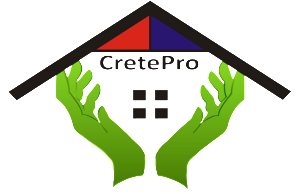 Powercrete 42.5R is a Premium Technical cement for specialist applications that is in high demand by readymix manufacturers. The product combines excellent strength performance at all ages with versatility and enhanced durability benefits. It is a CEM II/A-M (V-L) 42.5R premium composite cement, complying with the latest SABS and European standards. Lafarge RoadCem roadbinding products are formulated to conform to the SANS 50197 (EN 197) specifications in accordance with SANS 50196 (EN 196) test requirements and are designed to meet commonly encountered road stabilisation requirements.